Barbara and Jack Nicklaus have dedicated their lives to helping children with medical needs. Their foundation, the Nicklaus Children's Health Care Foundation, has helped create 14 outpatient facilities across Florida, including Palm Beach Gardens. 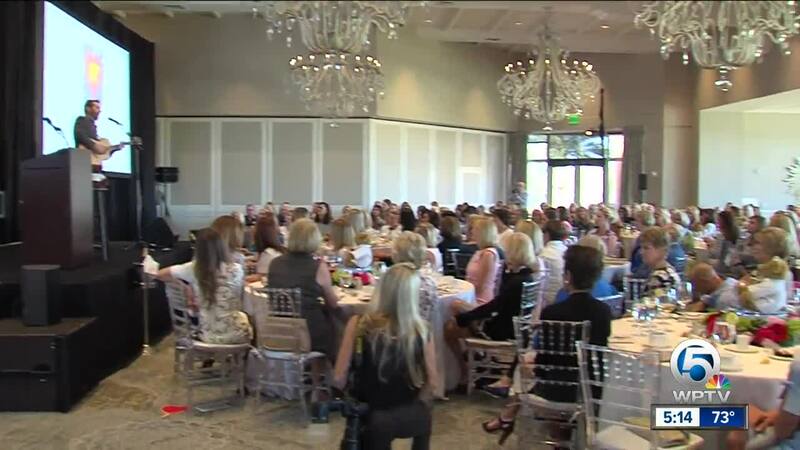 On Friday, the foundation held its annual Golden Heart Luncheon which was emceed by WPTV anchor Shannon Cake. "They truly believe that there is no higher calling than to help children in need," said Shannon, as she introduced Barbara and Jack. Actress Katherine Heigl and her husband, musician Josh Kelley were this year's guests of honor. The couple has two adopted daughters, one with a heart condition. "This child made me a mother, made my husband a father, made us both a more profoundly better version of ourselves than anything else ever could," said Heigl. Josh Kelley shared a song he wrote for his second daughter with the crowd. In 15 years, the Nicklaus Children's Health Care Foundation has raised $90 million. "We’ve seen patients from every state in the union and 117 countries so we feel we are earning the name global," said Barbara Nicklaus. The foundation began when their 11-year-old daughter got sick years ago; she's now married with 5 children. "We said if we are ever in a position to help anyone, we wanted it to be children," said Nicklaus.